Engineering at the University of British Columbia (UBC) usually means taking six or seven classes a semester, every year, for five years. Now add that to training up to nine times a week as part of the school’s prestigious swimming program. Jonathan Brown did that for the first four years of university, competing with the Thunderbirds, as well as pursuing a degree in chemical engineering. Now, in his fifth year with the school, and his last of eligibility, Brown is taking an unconventional route back to the U SPORTS Swimming Championships. 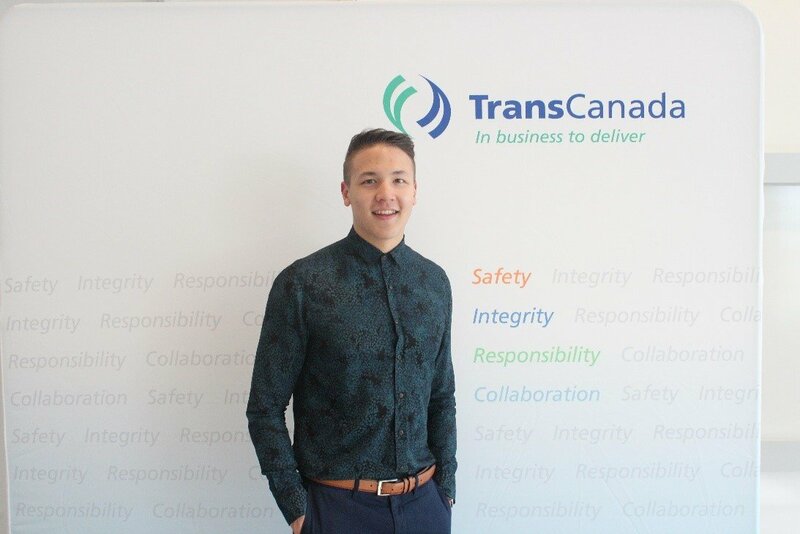 The Calgary native is currently working with TransCanada Pipelines as part of their Canadian gas and pipeline integrity group during a 16-month internship that ends next September. The internship has brought him back to his hometown where he is continuing to train with the Cascade Swimming Club, while still competing for the Thunderbirds. It’s gone by so fast, holy smokes. As you grow up through your five years of eligibility, the team dynamic is different every year. Brown remembers starting to swim because he hated running. His mom enrolled him with the Nose Creek Swim Association in Calgary at the age of eight. 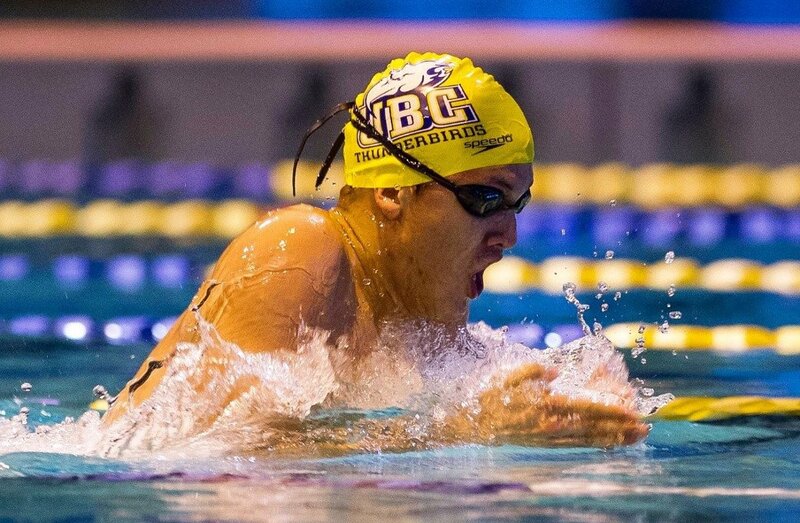 When he turned nine, he began to swim competitively and at 16, he made his senior national team cut time and was suddenly in the top 500 swimmers in the country. That’s when he realized he could compete at a higher level in university. Even though the training was going well, things weren’t easy in the beginning. Brown remembers burning out after his first year. “I had some conversations with my coaches. We agreed upon maybe taking off one or two workouts a week so that I could really hit all my classes, get to all my labs, finish all my assignments, eat properly, sleep properly and really stay on top of things,” says Brown, who has been an Academic All-Canadian in his first four years at UBC. That's when my performances in the pool and in the classroom started taking off. Instead of trying to do 100 per cent of my training and classes at 90 per cent effort, I did 90 per cent of training and classes at 100 per cent effort. Despite the struggles of balancing the two, Brown never struggled with the idea of following his career goals after his father was a reservoir engineer. Brown adds in the time of instability since his father’s passing, the sport offered a sense of regularity and routine, helping keep him grounded. “When my father passed away, I never thought about quitting. I took some time off to be with my family, but leaving the sport never crossed my mind. It provided me with a good outlet for my emotions, and brought balance to my life,” says Brown. I stuck with the sport because I love it. My father was heavily involved with the swimming community as a referee, so I know that finishing my full eligibility would make him proud. “With the sudden passing of his father last summer, Jon could have easily moved on from his sport and focussed his energy on his family and school,” adds Thunderbirds head coach Steve Price. He chose to stick with his team and use sport as an outlet to help him heal from his loss. He is truly a class act and revered highly here at UBC. Heading into his final national meet at the University of Toronto at the end of February, Brown thus far has had a successful career with the Thunderbirds. In 2015 during his second year he won the 200m individual medley, followed by a gold medal in the event in 2016 during what he calls a “sub-par year”. Last season, he managed to defend the title. He recounts the event as one of his best athletic memories at UBC. Following the completion of his fifth and final season for UBC this spring, Brown says his current plan is to “maybe” retire. Regardless of whether he continues to train and compete, he is sure that he wants to continue to give back to the community. Matthew is a second-year journalism student at Concordia University in Montreal. He is the Assistant Sports Editor of the university’s campus newspaper The Concordian and has been featured in publications such as the Globe and Mail. Matthew is looking forward to immersing himself into the world of U SPORTS.